White Bowl/pot with handle. 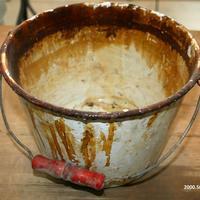 Residue looks to be shellac. Metal bowl with unknown residue in the bottom. 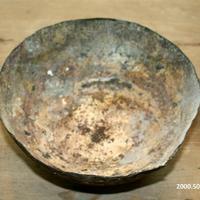 Bowl has a lot of oxidation.